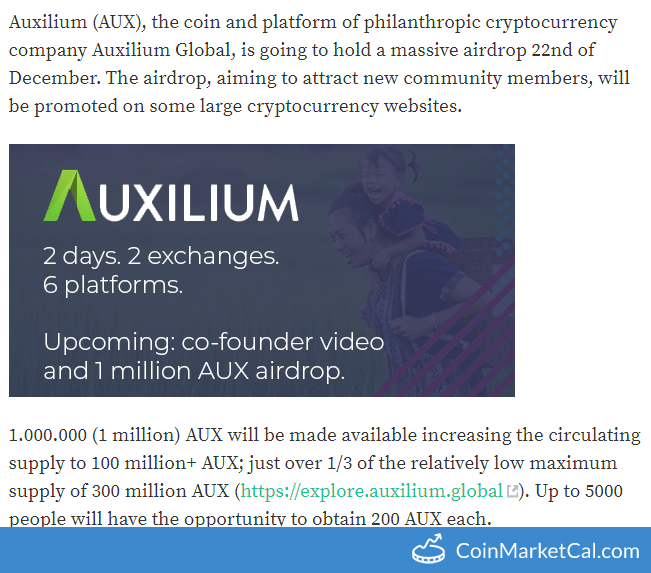 1,000,000 (1 Million) AUX airdrop. 5000 x 200 AUX will be available. Only 100 million circulating supply.